John David Goodwin, 93, of Heath, passed away Saturday, March 30, 2019, at the Selma Markowitz Hospice Center surrounded by his family. He was born August 26, 1925, in Uniontown, PA, a son of David and Caroline (Springer) Goodwin. John was a 1943 graduate of North Union High School in Uniontown. He had served his country in Europe during WWII in the US Army Air Forces. John was a decorated Staff Sergeant of the 837th Squadron as a gunner on the B-17 ‘Miss Bea Havin’. He retired in 1987 from the Newark Air Force Base and was a 66 year member of the American Legion Post #51 in Uniontown, PA. He enjoyed rooting for the Pittsburgh Steelers, the Pirates, walleye fishing, Jeopardy and doing the daily crosswords in the paper. John is survived by five step-children; 14 grandchildren; 12 great grandchildren; his special sister-in-law Beth and brother-in-law Bill and many friends and neighbors. He was preceded in death by his loving wife of 48 years Marie (Turner) Goodwin; two sisters and brother-in-law. To honor his wishes a private Graveside Service will be held at Newark Memorial Gardens. The Licking County Veterans Alliance will render Military Funeral Honors. John requested memorial contributions in his honor be made to the Licking County Veterans Alliance, PO Box 854, Newark, OH 43055 or Hospice of Central Ohio, PO Box 430, Newark, OH 43058. The family would like to thank the staff of Licking Memorial Hospital and the Selma Markowitz Hospice Center for their compassionate care. John requested memorial contributions in his honor be made to the Licking County Veterans Alliance or Hospice of Central Ohio. Robert “Bob” G. Leighton, age 82, of Newark, passed away on Friday, March 29, 2019. He was born on February 9, 1937 to the late Gale and Amelia (Raabe) Leighton in Butler, PA.
Bob proudly served his country as a member of the US Air Force and retired from Newark Air Force Base and from Boeing. He was a long time member of NARFE, Central Ohio 4-Wheel Drive, and of Labor Union IATSE. 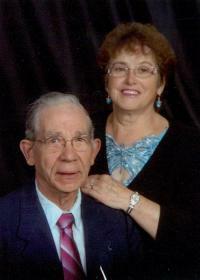 He was a member of Coachman and of Heath Church of Christ for over 50 years. In his free time, Bob enjoyed camping and running lights and sound for Patty’s Dance Studio and Joan Garett’s Dance Art Studio. Bob is survived by his loving wife of 60 years, Lois (Frazier) Leighton; children, Robert Leighton, David Leighton, Pamela Leighton, and Angela (Phil) Ernsberger; grandchildren, Eric (Maggie) Leighton, Jackie (Jeremy) Aberegg, Tyler Ernsberger, Ally Ernsberger, and Jacob Leighton; great grandchildren, Bentley, Bristol, Graham, and Collin; and siblings, Richard Leighton and Helen Reimer. A funeral service will be held at 7pm on Monday, April 1, 2019 at Brucker Kishler Funeral Home, 985 N.21 St Street, Newark, OH 43055. Services will be officiated by Pastor Dave Linn. Family will greet friends from 4-7pm prior to the service at the funeral home. Bob will be laid to rest privately at Oakwood Cemetery, Corning, OH. In lieu of flowers, donations may be made to Heath Church of Christ, 1331 Chapel Way, Heath, OH 43056. 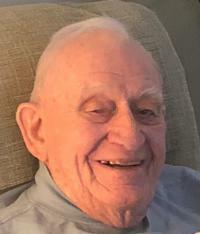 Alfred A. Frungillo, 97, resident of Kendal of Granville, passed away March 21, 2019 with his loved ones and friends surrounding him. ”Al” was born December 1, 1921, in Wellsville, NY, to the late Thomas and Alice (Tarantine) Frungillo. Burial was at Maple Grove Cemetery in Granville, OH on March 25, 2019. Al proudly served in the US Navy during WWII and was stationed in the Panama Canal Zone where he met his wife Dorothy Laurie. Following his military service, he worked at Gentile Defense Electronics Supply Center in Dayton, OH. He moved to Heath, OH in 1962 and was a member of the advance team that built the Newark Air Force Station. As Aircraft Division Chief in 1973, he retired, receiving the Meritorious Civilian Award from the US Air Force. He and his wife Dottie moved to Florida where they were both avid golfers. Sadly Dottie passed away in 1990. They were married for 45 years. Al enjoyed playing and watching golf, watching Norte Dame football, putting together models and loved eating a good meal with family and friends. Al is survived by his daughter Joanna Gabriel of Seattle, WA, his daughter Paula Martin and her husband Robert of Westwood, MA, granddaughter Amy Klinger and her husband Adam of Pickerington, OH and his grandson Andy Smutylo of Granville, OH. He is also survived by his sisters Marie Herrmann, Alita Weaver, Pat Holcomb and brother Vince Frungillo. His sister Minnie Silverio preceded him in death in 2014. Later in life he met and enjoyed many years with Carolyn Martin, who sadly passed away in 2005. He is survived by her children, Debbie (Rick) Queen, Kellie (Woody) Woodruff and Keith (Debbie) Martin and their children. He met a wonderful friend, Emma Richard, and had many years together before her sad passing in 2012. He is survived by her children, Peter Richard, Paul Richard, Pam Keth, Patty Wiggins, Susan Richard, their children and her dog “Buddy”. It meant so much to him that Carolyn’s and Emma’s children never forgot him and continued to be present in his life until his passing. Al also leaves special friend Lynn Lavery and her family who were such a great help to him over many years. The family would like to thank Dr. John Weigand, Caryn Gorby NP and Summer Black RN who took such good care and were loved so very much by Al. Thank you to Kendal of Granville and to each and every nurse, aide and all the friends who cared so lovingly and became our family too. There are no words to express the gratitude we will always feel. We would also like to thank Hospice of Central Ohio. Your kindness and care will never be forgotten. The family suggests memorial donations be made to Caring Friends Fund at Kendal of Granville 2158 Columbus Rd. Granville, OH 43023 or Hospice of Central Ohio PO Box 430 Newark, OH 43058-0430.